Welcome to Fall Line Farms & Local Roots! 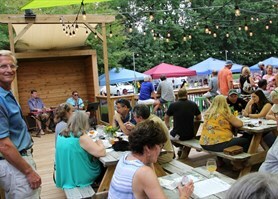 The Center for Rural Culture's Fall Line Farms and Local Roots is designed to connect family owned and operated farms and businesses with customers in search of local food year round. 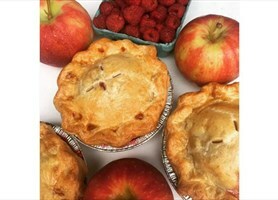 It's Richmond Virginia's non-profit online farmers market! Give us a try! Use the Promotion Code "one_month_free" for one month of free membership. Thank you for supporting our local producers! If you have any questions, don't hesitate to give us a call 804-878-2166. The Center for Rural Culture (CRC) is having a summer fundraiser,and you won't want to miss this party! You'll have a great time while you also support The CRC--the parent organization for Fall Line Farms and Local Roots. The event will be held at a private residence in Powhatan (TBA soon). 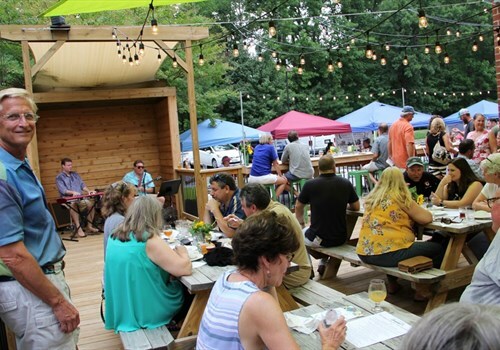 Be sure to set aside Friday evening, June 21st, from 5:30 PM to 9 PM and plan to join the board of the CRC for a casual evening of music and fabulous seasonal and local food. We'll offer a late spring, early summer menu using the harvest from our hardworking and talented Fall Line Farms and Local Roots producers. We'll also honor the work of our founder, Sandy Fisher, who will be on hand to meet and greet and accept our thanks for great service to our community. Of course, It wouldn't be a party without a great band! Come dance or sing along (or both) to the music of local favorites Hoosier Daddy, a talented group of Powhatan neighbors who know how to make a party rock! 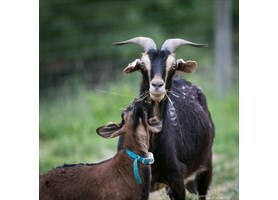 Fall Line Farms & Local Roots is a non-profit online farmers market in Central Virginia. We are a producers' co-op of small family farms and local businesses providing fresh local food year round to our members. As a member you order when you want - there is no requirement to order every week.  You shop by the item and there is NO MINIMUM ORDER. With one order and one payment, you are able to order directly from 40+ producers. Our farmers share with you details about their products and their practices so you can make the best decisions for your family's health and nutrition needs. Completely transparent, you will know exactly where your food is coming from and are encouraged to contact your farmers directly with questions. Each week our producers post the products they have available, setting their own prices, uploading their own descriptions and photos. You can read about their farming practices and contact them directly with questions. Using our Buying Pages, you shop online with us any time between Friday at noon to Monday at midnight. You pay for your order online and then pick it up on the following Thursday afternoon between 3:00 and 6:00 pm at one of our Richmond area pickup locations. Orders are delivered fresh, straight from the farms on Thursdays. Our producers share in the delivery process and we rely on volunteers to sort the orders at the pickup locations. This cooperative system allows us to keep delivery costs down to a minimum meaning more money goes back to the producers. It all started with her husband's irresistable salsa. America DeLoach loved the freshness of it, and the fact that it was a family recipe handed down from her husband's Mexican grandmother. She craved it all the time, and that gave her an idea!America knew that this deliciousness needed to be shared with others. So she promised her husband not to reveal the secret family recipe and started her salsa business. That was three years ago, and now Salsas Don Sebastian can hardly keep up with the orders. "I love sharing a little piece of Mexico with others!" she says. Maybe it's America's generosity that makes everything at Salsas Don Sebastian taste so wonderful! 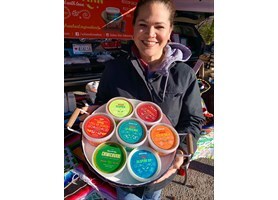 her sister works with her in the kitchen,and her daughter, Valerie,handles the social media for Salsas Don Sebastian. "Almost everything on our menu is Mexican,"America says, "but I am Venezuelan, so there's a taste of my culture, too. My sister, Rachel, who makes the [traditional Venezuelan] Hallequitas is a better cook than I am, so I call her the Hallequita Queen!" that her recipe is a winner! 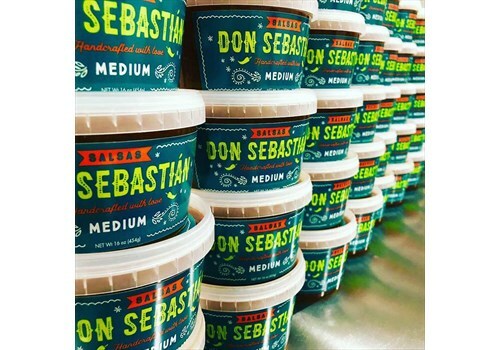 When you shop local and support Fall Line Farms and Local Roots, you also support hardworking, talented local producers like Salsas Don Sebastian. Thank you for your Fall Line Farms and Local Roots orders. You help us keep local farms, farmers, and food entrepreneurs going strong! 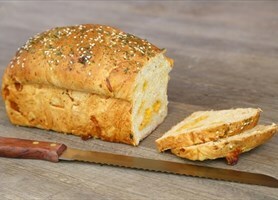 We're pleased to announce that Great Harvest Bread Company, Midlothian has joined us as our newest producer! A few weeks ago, we sadly announced the closing of Great Harvest Bread Company in Mechanicsville. Now we're thrilled that Great Harvest Bread Company in Midlothian has agreed to join our stellar group of fine producers. 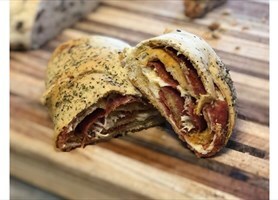 Check out the Pepperoni Swirls, pictured above with the Garlic Cheese bread. 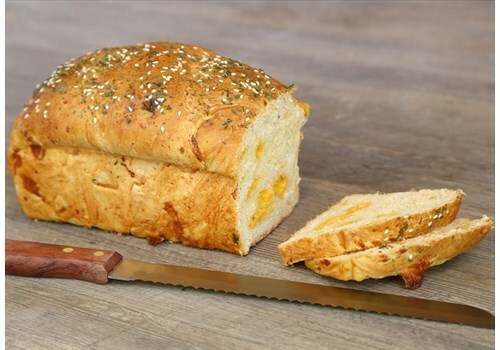 There are a number of scrumptious selections listed on our pages,including freshly baked Honey Whole Wheat, Farmhouse white, and Dakota Bread. And what about those Blueberry Cheese Scones? Wow. What a great selection of freshly baked goodness! 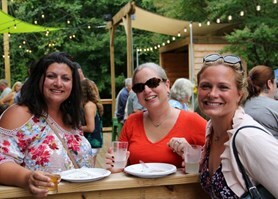 Welcome to Fall Line Farms and Local Roots, Great Harvest Bread Company,Midlothian.We're awfully glad to have you! 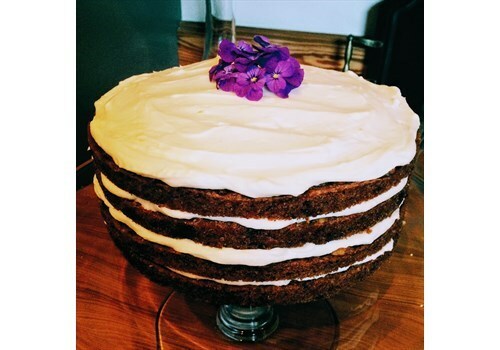 Wedding Bells at River City Bakery--And a Honeymoon "Heads-Up"
cakes, cookies, brownies, and cinnamon rolls.And just look at this delectable carrot cake.It's as beautiful as it is tasty--a real piece of culinary art! Colleen will be on her honeymoon soon, but she wanted to make sure thatwe have plenty of notice so that we can order our Easter goodies ahead of time and freeze them. will be available for the next two order dates (3/28 and April 4).Regular business will resume for the May 2 pickup date. 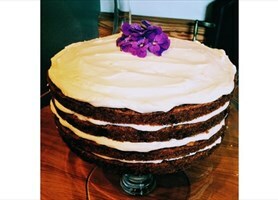 Colleen notes that most of her terrific, tasty baked goods freeze well, and that the carrot cake works particularly well for this. Bon voyage to Colleen and bon appétit to all of us! 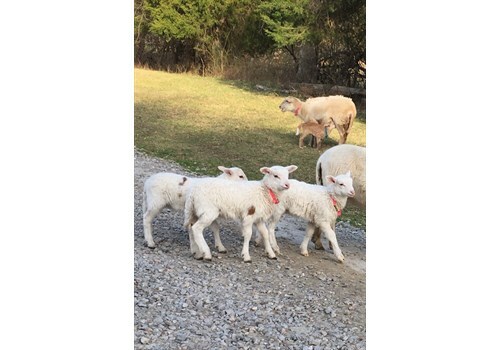 At Fall Line Farms and Local Roots, we care deeply about the quality of the products we offer.That's why we choose producers who share our goal of bringing you food that you can trust.Burkeville-Waverly Farms is a great example.Did you know that they are a family farm with a 100-year history? Or that they are designated Certified Animal Welfare Approved by A Greener World (AGW)? According to the AGW, this designation is earned through yearly audits of the farm's practices and is "the only label that guarantees animals are raised outdoors on pasture or range for their entire lives on an independent farm using truly sustainable, high-welfare farming practices." If you're curious to learn more, visit their website to schedule a farm visit or to stay overnight in their lovely accomodations. And click on the picture above to see all of the great selections from Burkeville-Waverly Farms! 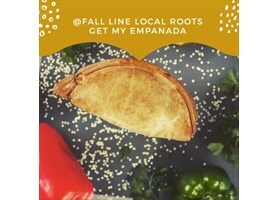 We're very excited to welcome My Empanada to the Fall Line Farms and Local Roots list of producers. Their flaky, delicious handmade empanadas come frozen--three to a package. Perfect for a quick but homemade dinner! Claudia Urrea, one of the owners, says this: "We grew up in Colombia, South America where there were as many empanada vendors as there are burger joints in the United States. Empanadas are the classic street food in Latin America. After many adventures in the food business world, last year my husband and I decided to focus specifically on empanadas and bring to Richmond some of the many flavors and culinary secrets of our Latin culture." Looking for something a little different? Try this little taste of South America, handmade with love right here in Virginia. Fall Line Farms and Local Roots opened in the fall of 2008 with one goal in mind, to help small farms through the challenging season ahead. Since then, we have grown and developed but never wavered from this basic focus. Our innovative online buying program allows small farms to sell their products as they come available at a competitive fair price that is set by them. There is no minimum supply required for them to sell, allowing very small start up farms to grow and expand into a larger marketplace. We like to think of ourselves as an incubator for small sustainable farms. Because our producers share in the delivery, we are able to keep our costs low. That means more money goes back to the farms. 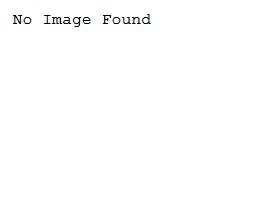 We are not a reseller. When you order you are buying directly from the producers in our market.